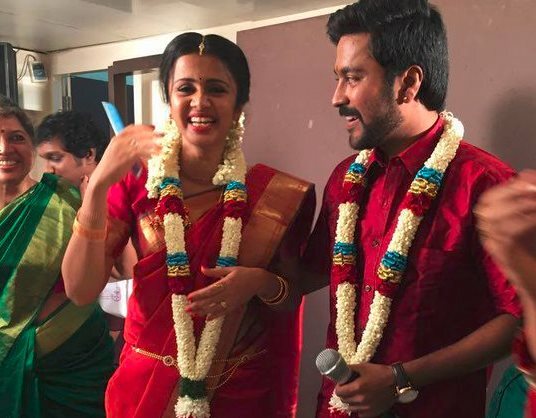 Actor Chandran of ‘Kayal‘ fame and popular television anchor Anjana Rangan tied the knot in Chennai yesterday. It was a traditional Hindu wedding attended by friends, colleagues and relatives. At present, Chandran is busy with movies such as ‘Faisal’ and ‘Grahanam’. Anjana will continue her profession post wedding, it is learnt. Chandran and Anjana were seeing each other for some time and their engagement took place on November 29 with the consent of elders in both families.